The stimulating, toning qualities of Ginger combined with the relaxing effect of Ylang Ylang awaken the senses. The massage chases away tiredness and prolongs desire. This massage oil, the delicate elixir of olfactory and sensorial pleasure, highlights the sensuousness of touch. The quivering feeling that essential oils from Rosewood, Benzoin, Ginger and Ylang Ylang give, add real stimulation and stroking power to the massage. Sesame Oil, both nourishing and soothing, contributes to a calming, flowing massage, letting the skin relax. 100 % of the total ingredients result from Organic Farming (100% Bio & Natural). Not tested on the animals. Does not stain. 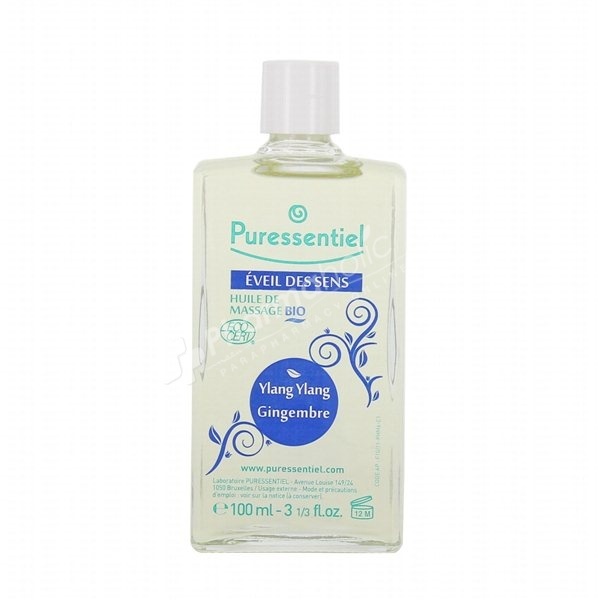 Use Puressentiel Arousal for your moments of pleasure. Active Ingredients: Huiles Essentielles Bio : Bois de Rose, Benjoin, Gingembre, Ylang Ylang. Huiles Végétales Bio : Sésame.